Aerial photo of the China Remote Sensing Satellite North Polar Ground Station in Kiruna, Sweden. 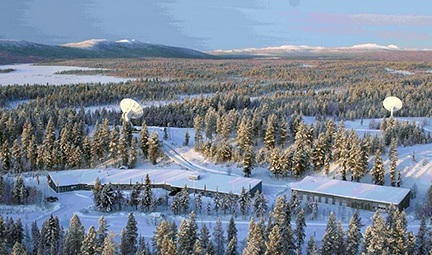 Journalist Keegan Elmer of the South China Post has filed a story concerning the claims about the Chinese ground station in Kiruna in northern Sweden — which was built by China in 2016 — add is now adding to the controversy over increasing Chinese influence in the country, partly fueled by rising global scrutiny of such projects involving China. The Swedish Defence Research Agency (FOI), under the Swedish Ministry of Defence, has told broadcaster SVT that the nominally civilian cooperation with China could ultimately be controlled by the military. FOI researchers alleged that China could be using the station — which relays images of the Arctic regions — to complement military intelligence or provide additional military satellite surveillance should Chinese military satellites be disabled in a time of war. John Rydqvist, one of the researchers, said the blurred lines between China’s civilian and military spheres raised concerns for cooperation between the Swedish Space Corporation (SSC), which is owned by the government, and the Chinese satellite station. “Organizationally, the Chinese space program is — to a very, very large extent — militarized,” he said. 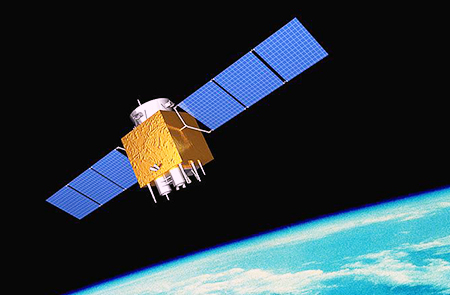 Artistic rendition of China's Gaofen-1 satellite. The station plays a role in China’s Gaofen satellite project, a network of observation satellites that provide China with global surveillance capabilities. Rydqvist said if the information collected played a military role, Swedish authorities should be concerned. Officially known as the China Remote Sensing Satellite North Polar Ground Station, the Kiruna facility took two years to build and is China’s “first overseas land satellite receiving station”, according to Chinese government websites. It was built and is run by the Institute of Remote Sensing and Digital Earth (RADI) to “improve China’s capability of acquiring global remote sensing data efficiently,” according to the RADI website. The institute is part of the Chinese Academy of Sciences, a government organization with no explicit ties to the military. The SSC, which signed the initial agreement on the station, rebuffed the defense agency’s claims, telling SVT the cooperation was strictly civilian and downplaying the risks of the project. However, Rydqvist said the company should step up scrutiny of the station. including US-China relations and China's relationship with its neighbors. He has degrees from the University of Wisconsin, Madison and the University of Helsinki.